I've been wanting to do a post for awhile over all of my "essentials" and favorite things that help me to be productive on a daily basis or just some things I love to use or have each day. Some of these are actual products, but I've also included some things and activities I like to do on a daily basis that help keep me going and stay positive and focused on my ultimate life goal which is to glorify God in the way I live. So here's my round-up of all those things! My iPhone is without a doubt the thing I use most. You can do just about everything on it, although there are some things I prefer to do on my laptop any day, like writing, for instance. But I'm very thankful for what a resource it is. I love Apple products. I'm somewhat biased though, since I grew up using those, but I think personally they're the most straightforward to use. I have various different apps I use on a daily or consistent basis. Notes: this is built into the iPhone, and I use it so much that at one point I had over a hundred notes... I get a little disorganized, but I love how I can easily jot down thoughts like when I'm in the car or at school. Bible: I love this app because it makes it super easy to read the Bible with multiple selections of which version you can read in, like the NIV, KJV, etc. There's also "plans" that are like little devotions over a multitude of topics you can choose from—they have just about everything and make it very easy to find what you're looking for. I use this when I need a quick boost of encouragement, or sometimes when I'm doing a Bible study where I already take notes in the book, I'll use my phone app to look up the verses. Squarespace Blog: I love this app! I've already talked about that here! I can very easily work on drafts of blog posts, go back and see old ones, and read and approve comments. I don't typically write full posts on my phone, but this app is great for when I need to reference an old post or go through and look at my drafts or write down some ideas or a beginning of a new post when I'm away from my computer. Google Photos: This app is a lifesaver. Or a phonesaver, because mine explodes with all the photos I take. And this lets you upload YOUR WHOLE CAMERA ROLL. FOR FREE. WITH UNLIMITED STORAGE. ISN'T THAT AMAZING. Plus, it makes it super convenient for me when I'm trying to get photos on my computer; all I have to do is back up my photos onto this app, and then I can go online to the website and easily download them to my computer. It's holding all 5,000+ of my photos and videos for free. I LOVE IT. VSCO: This is a cool photo editing app. I use this app a lot, sometimes just for fun and other times to try and edit a photo because they have a lot more options for photos than the camera options that are programmed on my phone. 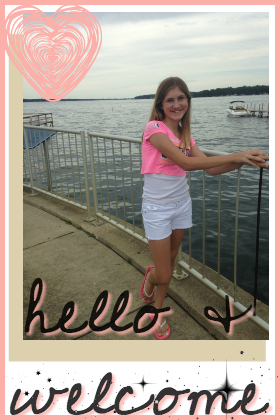 Just recently I figured out how to make my own pink filter that still looks natural! I also use them to try and fix photos that are too dark or have awkward lighting. A lot of the features are free, though a lot of the filters cost money. 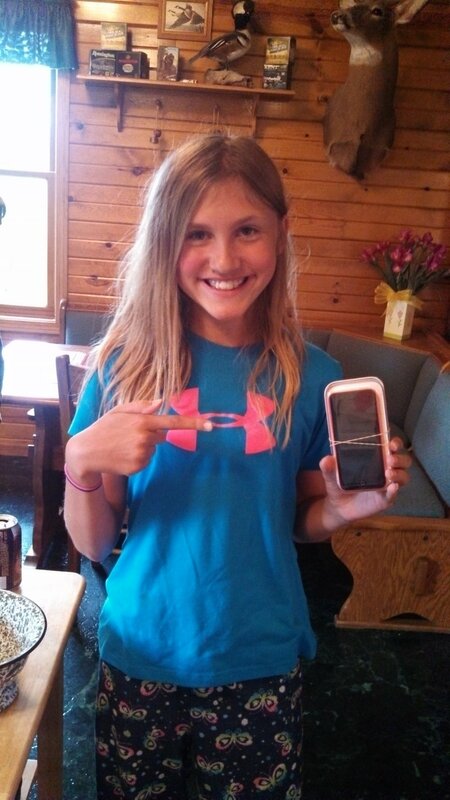 Spotify: I love Spotify for streaming music, so I have the app on my phone that I listen to all the time. Of course, I'm able to manage my social media from my phone, which is convenient. Evernote: I use this app as a place for me to "dump" my ideas for books, mainly, or to keep track of different things I will want to reference later. I also have the app on my computer, so it makes it easy to keep track of those things I will use for my books or blog. It's also easy to organize, as there are "notebooks" that you can group different notes into. I also have like three email accounts synced to my phone, so it's super easy for me to check all of them. I have like five email accounts, honestly, between school and my personal email and emails for my writing. It's nice to be able to have one place where I can check all of them at once. I try to always make time to just relax and not worry about any obligations with school, writing, or whatever it may be. For me, this consists mostly of laying in bed while on my laptop, either reading things for fun, taking a million random quizzes, or watching a movie. It could also be me reading a book I've been wanting to. Now that it's summer, I've probably been engaging in way too much of this to the point where I don't do anything, but hey, self care, haha. ;) Bonus points when Mom makes me her ah-mazing cheeseballs! I love to read devotionals. They have Bible verses with meaningful, applicable ways to apply it to your life. I try to read something in the Bible everyday whether that's a Bible study or devotion. Sometimes I do both, but usually I do one or the other depending somewhat on my mood and what I need. Like for example, if I'm really struggling with a certain topic, then I might read a devotion over that to help me. Or if I want to learn about a certain topic, I'll go do a Bible study over that topic. Like I said, I try to do both or at least one, a devotion or Bible study, each day, usually at night since that seems to be the best time for me personally because with school, I barely have enough time to get ready in the morning...which is mainly my fault, and if I were more of a go-getter I would wake up way earlier to make time for everything...but to be honest, I think way better at night (RIGHT GRANDMA?!!). I'm in more of a reflective, calm mood, and usually if I'm going to be upset it hits me later at night, so it's better timing for that anyway haha. 365 Days to Knowing God for Girls: this one has practical advice that is always encouraging and that helps you learn to apply different truths about who God is to your life and relationship with Him. I've enjoyed it. It's been awhile since I read the devotional pictured, but I remember liking it! I also remember it had call to actions with specific things you could do, so if you like that sort of thing, it'd be really good. Soul Surfer Devotions: Okay I love this one. I was reading some devotions out of this one a few weeks ago, and everything I read I just loved; I agreed with all of it, and it was so relatable. It had just the words I needed to hear. Jesus Calling: another great devotional book. I took notes on this one. The perspective this one is written it, like it is Jesus actually telling you this, was a perspective I'd never read before, and I enjoyed it so much. It felt truthful to Scripture and what He really said. It was definitely one I recommend for anyone at any stage in their relationship with God. As for Bible studies, I have many different ways I go about studying the Bible—in fact I plan to write a whole post on it, so I will try to keep this part short. Sometimes I use books to help me study, or sometimes I just read my Bible and take notes myself. Pictured above is a Bible study I was doing at church, and I had a notebook I would write things in dedicated solely to my Bible study. The only book I have for a Bible study is Living So That, and I LOVE it. Yeah, this one I wrote about here... The one I got four years ago... And still haven't finished... That's embarrassing. But I was doing other things in my Bible besides that, which I'll get into more in depth in a later post. But I'm really enjoying that book; it's the study I'm currently doing. I always use some sort of bag on a daily basis: in the summer, it's my purse; in the school year, it's my backpack. I used to have a gold crossbody I really liked because crossbodies are by far my favorite type of purse, but unfortunately as I got older I needed to fit more stuff into my purse, and the crossbody I had just wasn't big enough for all of it. So now I'm using this purse I got at Okoboji (I actually blogged about that here), and I really like it despite it not being a crossbody. I have this dream Michael Kors crossbody I want... I don't think that's happening anytime soon, though... I could always ask for a Louis Vuitton purse though, haha! I try to take photos daily, but I also don't like forcing them either, so I don't all the time, but one thing I do try to do everyday is look through some old photos. There is something about that that really gives your mood a boost; I love looking back at old photos. I am addicted to stationary. I have millions of notebooks and many pens to accompany them. I do write a lot, though, about different things, and so I need different colors of pens and styles of notebooks for each purpose because I am OCD like that and because it's more fun that way. BUT THESE PENS... <3 They are my all time favorite; I always go through so many of them, and the black and pink are usually the first ones to die... 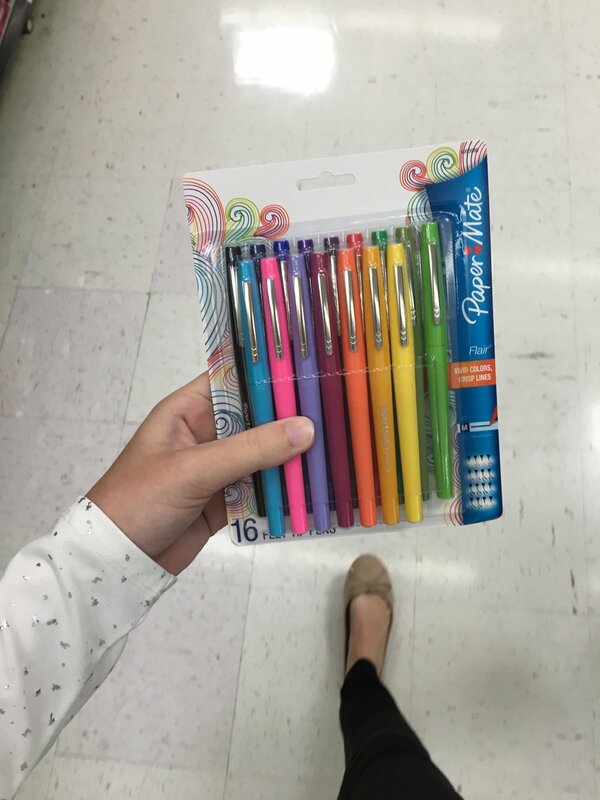 Surprise surprise... :) These are Paper Mate felt pens, and I love the way they write and the array of colors they come in. I use them for literally everything. 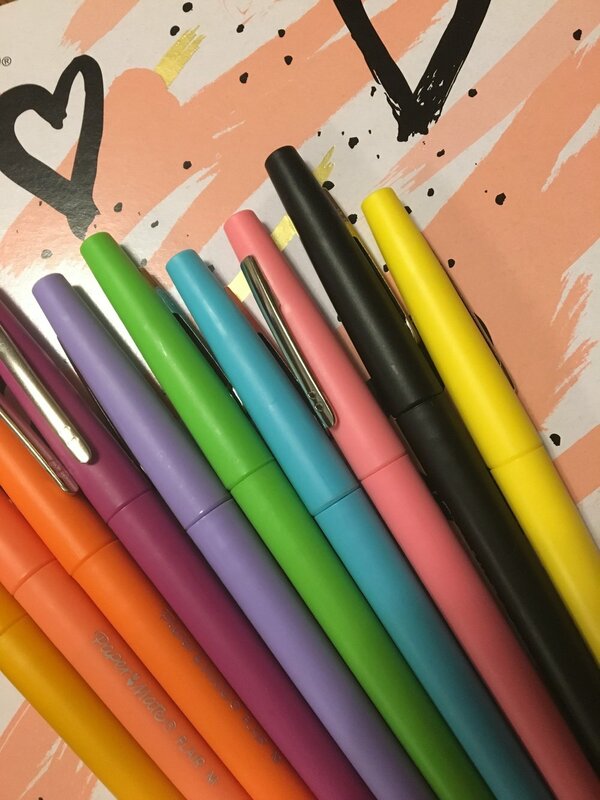 Look closely at this photo below and you can see for Christmas that I got all those pens in a limited edition with the tropical colors, which I love. <3 <3 <3 And you can also see my dog in the background with his huge rawhide he got, haha. I like to pick out a special journal just for my own journaling and diary. I like for it to be pretty obviously, and I also like it to be more like a journal than a notebook. I don't always journal everyday—I used to be way better at this, but when I need to dump my thoughts I will. I have this journal I'm using right now, and it is the prettiest journal I've ever had in my life. 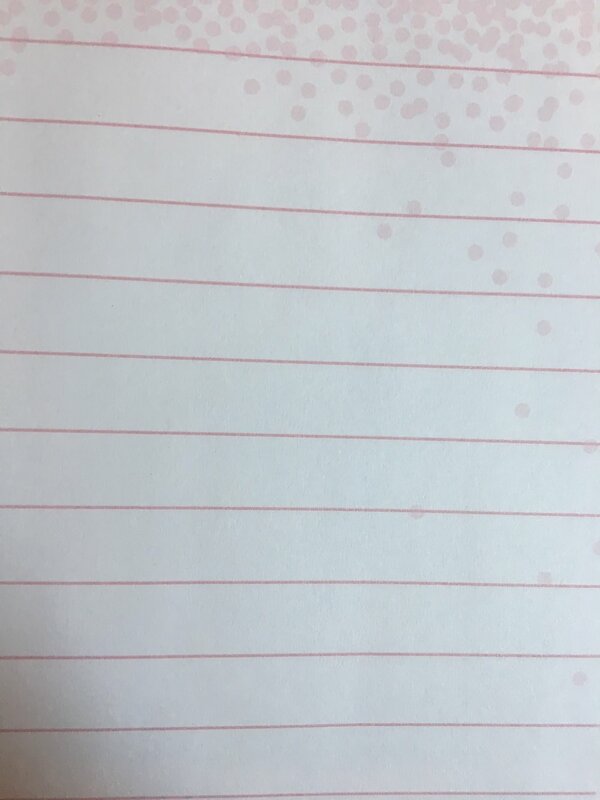 I'm not exaggerating whatsoever; it's my favorite, and therefore I feel like I need to be extra careful with what I write in it because I like it so much I don't want to waste it, and so far I feel like I'm doing just that! But I know that's what it's for, so I need to quit worrying about it. Anyway, it's gorgeous. I don't think I'll ever be able to find another one like it. LOOK AT THAT. BOKEH IN THE BACKGROUND ON THE PAPER. I DIDN'T EVEN KNOW SUCH A THING EXISTED EXCEPT FOR IN MY MIND. I love notebooks, but that's merely stating the obvious. And I really do have purposes for all of them—or most of them, but trust me I will find purposes for all of them. I usually prefer composition books for my writing; I have a composition book for notes on each novel I write. For my idea recording and organizing, I use journals. Those I put all of my ideas in just one journal though instead of one journal for each idea because that would be overkill. But yeah, I love notebooks, and I'm really good at finding a million of them and all the pretty ones there are. I always love creating new systems with each notebook of how I'm going to color code, haha. I'm serious, I have a million notebooks. These photos are only scratching the surface. For my laptop, I consider this a necessity. I learned this the hard way, unfortunately. When the squares light up you can see the dog hair that has floated into the keys. What a view! So yeah, that's probably never coming out, so buy one of these if you don't want that or other things like crumbs getting stuck in your keys. That, and it's pretty and feels awesome to type with, so why not? I LOVE listening to music everyday. It lifts my mood and even gives me inspiration to write—I have playlists for each of my books. Not a day goes by where I don't listen to music. 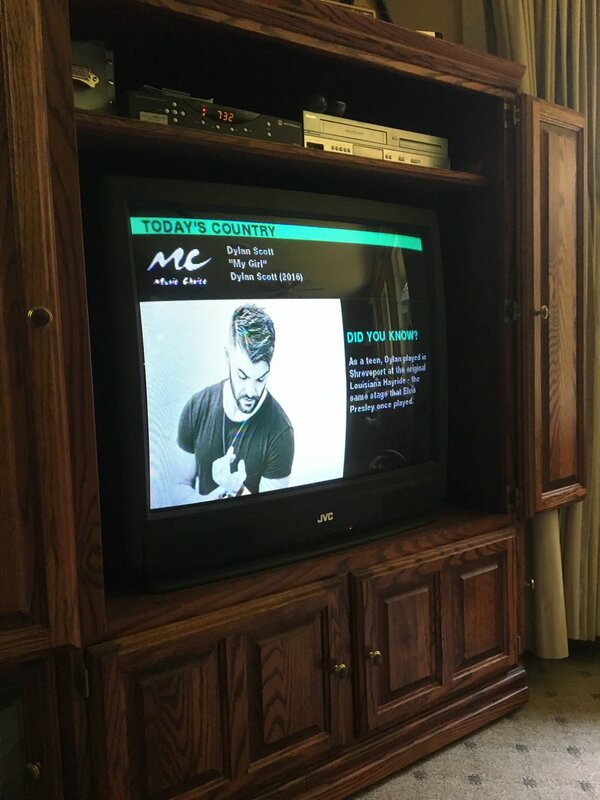 My grandparents have this awesome TV station that plays music nonstop with NO COMMERCIALS and has pictures and facts about the artist singing, and ugh I wish we had that station!!! I always use a variety of different beauty products on a daily basis. I'm not big on makeup yet, and I don't know if I ever will be, though I do have some things like eye shadow and a couple lipsticks on hand. I have yet to use them, but one day... Haha. What I do use everyday though is some sort of body mist or perfume. 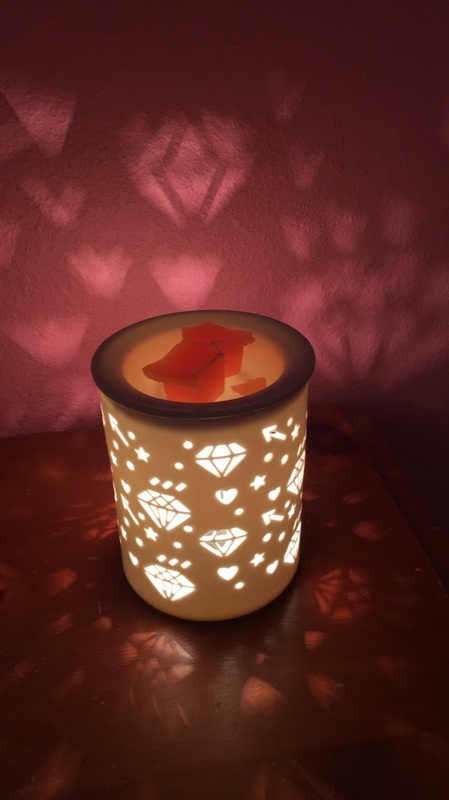 I also have a Scentsy thing in my room that I love; it's not from the actual Scentsy brand, I think I got it off Amazon, but it works great, and it gives my room a nice boost of light. My favorite scent that I have for this that I just got at Walmart and have been using currently smells like the ocean and beach, and it reminds me of the books I reviewed here because the series I loved was set at a beach house, so now I always associate that smell with those books, haha. Victoria's Secret Aqua Kiss: I love the fresh smell of this one! PINK Warm and Cozy: another favorite of mine, I bought a hand lotion for this shopping with my friend when we were like 11, because that's really all we could buy from Victoria's Secret at that time, and I always loved the smell, so recently I just got a body mist with it, and it smells just as amazing as I remember it. I also have a cute little rollerball that I keep in my purse from Victoria's Secret called Crush, and I love using that when I'm on the go! 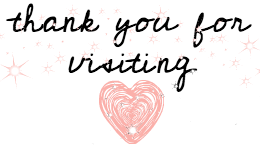 Also from Victoria's Secret, I have a cute metallic pink beauty bag that is big enough to hold my lipsticks and eye shadow, the rollerball above, and my millions of hair ties but is small enough to fit in my purse, so I use that a lot. I also have a pink bag in a similar shade of pink as the makeup bag with black polka dots that I love, and I store my tons of nail polish in there. That definitely doesn't fit in my purse, but it's still small enough that it's convenient to take when I travel. 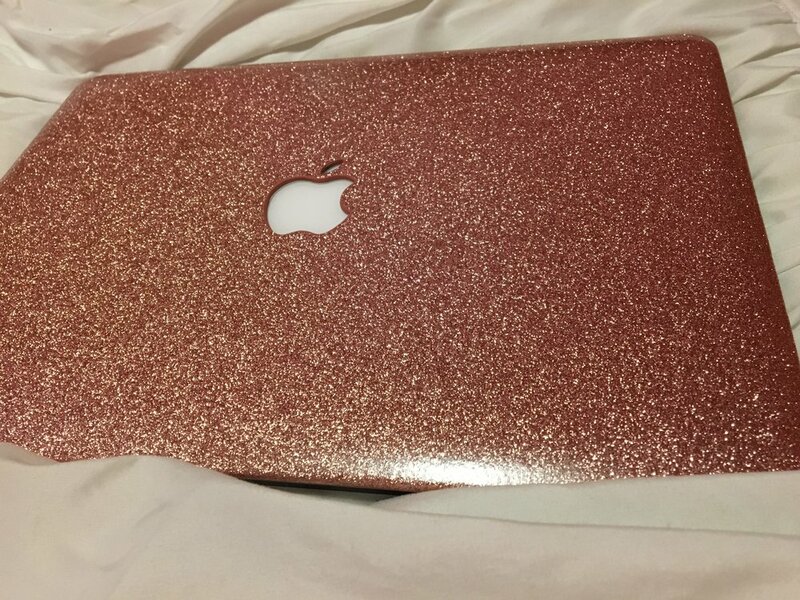 Obviously I use this a ton daily, my laptop that I love. I can do just about everything on this, plus it's synced with my phone, so I can even respond to texts on it!! 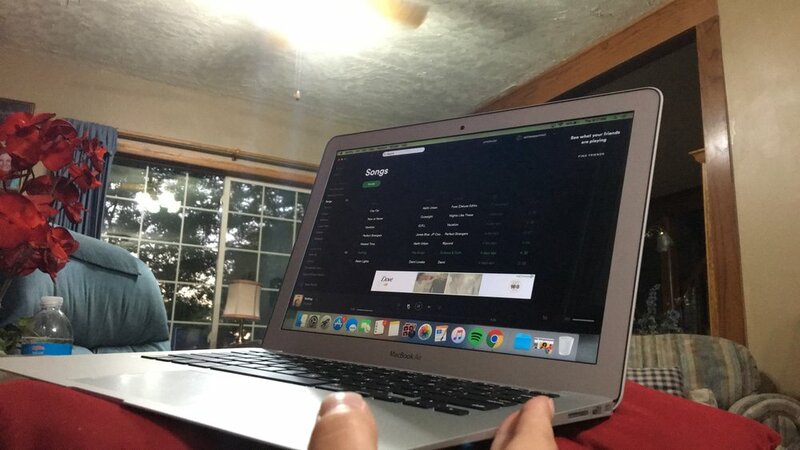 My favorite apps that I have on my laptop are Evernote, Spotify (which is even better on the computer because you can skip as many songs as you want or just click on the song you want to listen to! 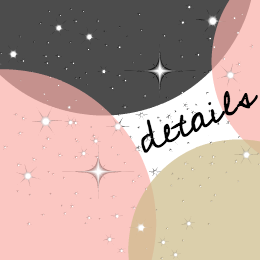 ), and Photoshop. Okay, I don't have Photoshop, but I had a free trial of it that has since expired, but I LOVED IT. Whenever I get money, I definitely want to invest in that. The websites I use the most are obviously social media and my blog, but I also use Dropbox consistently to back up things, and Wishbin is another cool site I use to keep track of all the things I want, and that definitely comes in handy around the holidays when I can send that to Mom, and she can shop for me easily! Last but not least, I love staying organized, so I always have a planner. In high school, this becomes a necessity to keep track of homework and due dates. I'm not even involved in anything yet, and I still use them, so I definitely recommend using a planner. 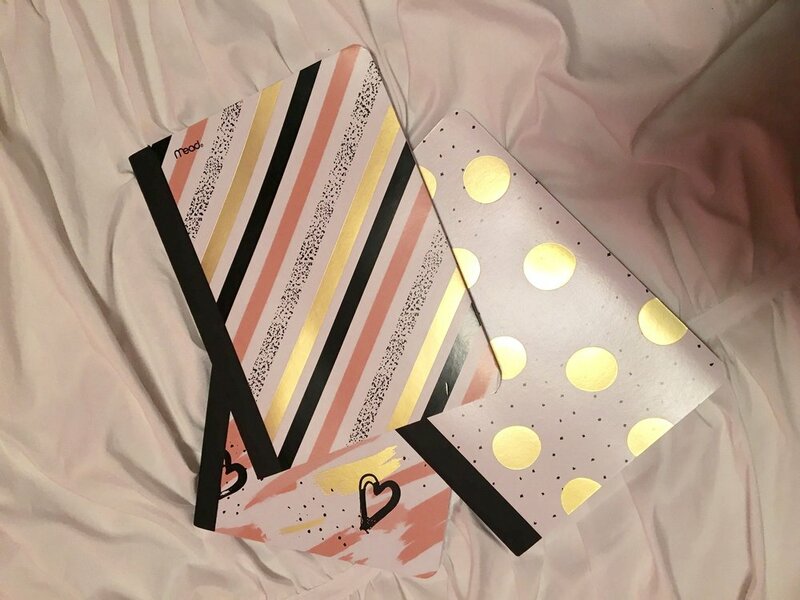 My new planner I talk about in this post has been working great for me! Seriously. I could make a compilation of all the photos I have with pop in them the same way I could make a compilation of all the times my Grams Marjean has fallen—literally, a conversation I had with her last night. But as she said, I'm still alive! Hahaha.